A Palestinian family spanning three generations has been evicted from their East Jerusalem home of 53 years to allow Israeli settlers to move in. The Shamasne family of eight, including wheelchair-bound 84-year-old Ayyub and 75-year-old Fahamiya, were removed from their Sheikh Jarrah home early Tuesday morning after Israeli police officers, intelligence officers and special units arrived. The Jerusalem Post reported the authorities were accompanied by three right-wing activists from the Israel Land Fund, run by Jerusalem City Councilman Arieh King, who were sent to take over the home. Video footage from the eviction shows Mohammad Shamasne being stopped from getting back inside the house via the roof. According to a 1970 Israeli law, Jewish citizens can reclaim properties in east Jerusalem owned by Jewish people before the 1948 war and the creation of the state of Israel, if they can prove ownership. However, Palestinians expelled from their homes in what is now Israel don’t have the same protections. The Israelis who lost their homes in 1948 were given both compensation and alternative housing. 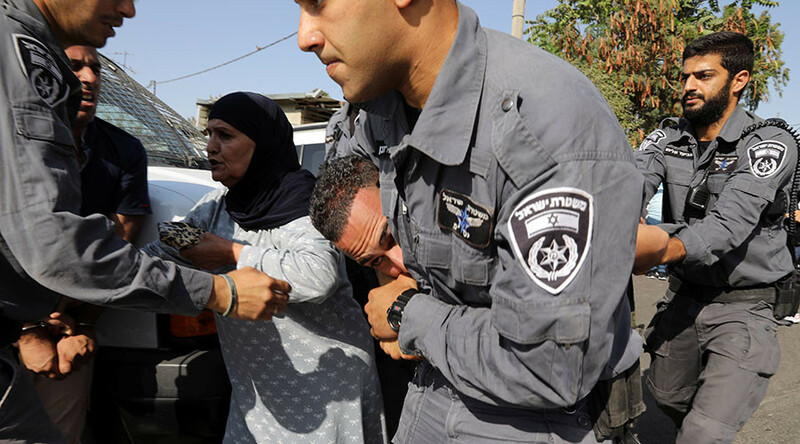 It’s the first time since 2009 that a Palestinian family has been evicted from Sheikh Jarrah. At the time there was a wave of Israelis claiming ownership of the area, and the Shamasne family learned an Israeli family had claimed ownership of its property when their lease was not renewed. The Shamasne family were displaced from their own home in Qatanna in the West Bank in 1948. After the Arab-Israeli war, Jordan took control of east Jerusalem and used much of the Sheikh Jarrah neighbourhood to house as many as 750,00 Palestinians that had been displaced by the war and the establishment of the Jewish state of Israel. The Shamasne family rented their home from the Jordanian authorities from 1964 until 1967, when Israel took control of the West Bank, East Jerusalem and Gaza following the Six Day War. The family then made payments to Israel's general custodian, the Administrator General and Official Receiver, al Jazeera reports. In 2013, the Supreme Court ruled in favour of the Israeli claim on the property. The Israeli claimants subsequently sold the property to another buyer with the help of the Israel Land Fund, YNet reports. The family were given until August 9 to leave their home, but appealed the decision. On August 18, a magistrate’s court suspended the eviction, citing a lack of documentation of land plots in the area. 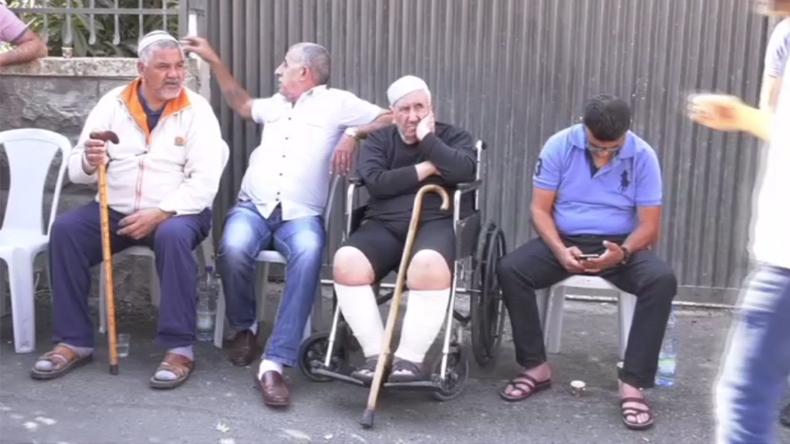 Elderly Ayyub Shamasne’s health was also cited as a reason to stop the eviction. The family learned on Tuesday that the injunction was annulled by the Bailiff’s Office court at a hearing they had not been told about, the Jerusalem Post reported. It said the family’s lawyer received a letter on Monday telling them the injunction had been cancelled. Many Palestinians and activists, including Israeli NGO Peace Now, believe the eviction is part of a larger effort to change the makeup of the area to one with a Jewish majority. A number of settlement-buildings were approved in the area in July, two of which would include demolishing homes of five Palestinian families, al Jazeera reports, citing Ir Amim. Israel Land Fund’s King saw things differently, saying: "Seventy years after the Hubera family was banished from its home, and after the owners allowed the Arab tenants to live on the property for five years without any rent and, since the tenants caused financial damages to the owners, the eviction was inevitable.